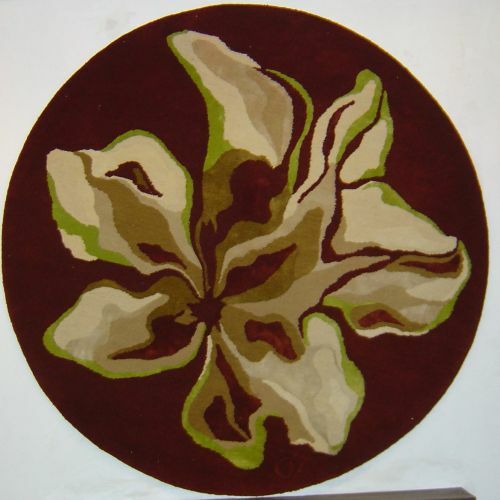 This rug's design was based an metal painting No 388. The colours were chosen to complement the rest of the interior. The hand tufted wool and viscose mix provides matt and silky textures, making the rug rich and tactile.